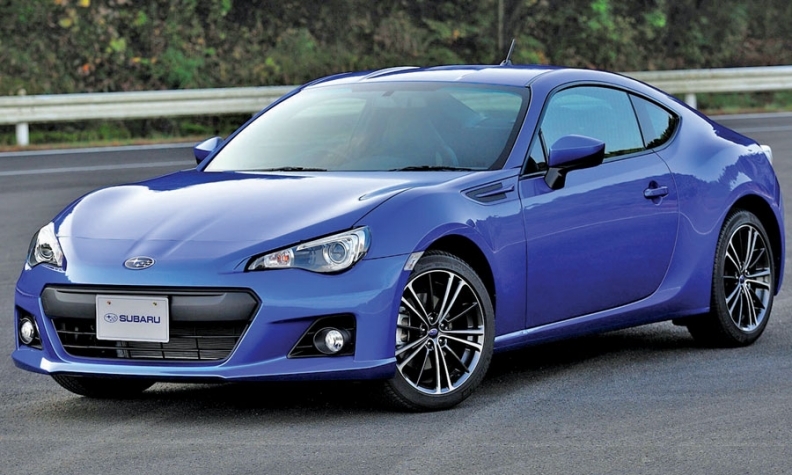 U.S. sales of the Subaru BRZ begin in spring. TOKYO -- The production version of the Subaru BRZ sports coupe, unveiled here last week, will go on sale in the United States in the spring priced in the "mid-20s," a company source said. Subaru expects U.S. volume to be small: 5,000 to 6,000 a year. "It's an image car," said Tom Doll, COO of Subaru of America Inc. The rear-wheel-drive BRZ was jointly developed with Toyota Motor Corp., which debuted its closely aligned version, the Toyota 86, at the Tokyo Motor Show. That car will be sold in America as the Scion FR-S. It also goes on sale in the spring priced around $25,000. Toyota owns 16.5 percent of Subaru parent Fuji Heavy Industries Ltd.
Subaru was responsible for engineering both vehicles, and installed a 200-hp, 2.0-liter boxer engine. Toyota did the exterior shape, which varies slightly between the two models. Toyota's volume for the car in the United States and around the world is expected to exceed Subaru's. But Yasuyuki Yoshinaga, president of Fuji Heavy, said Subaru hopes to benefit from the exposure the Toyota version will give to Subaru's boxer engine technology. "Awareness of the horizontally opposed engine will be increased because of this project," he said. "We expect this will be good for us to promote the engine beyond the Subaru customer." Both sides say the project went well, but Yoshinaga said there are no plans to cooperate on another model.